The Alberta District, also known as the Alberta Arts District, centers on NE Alberta Street. 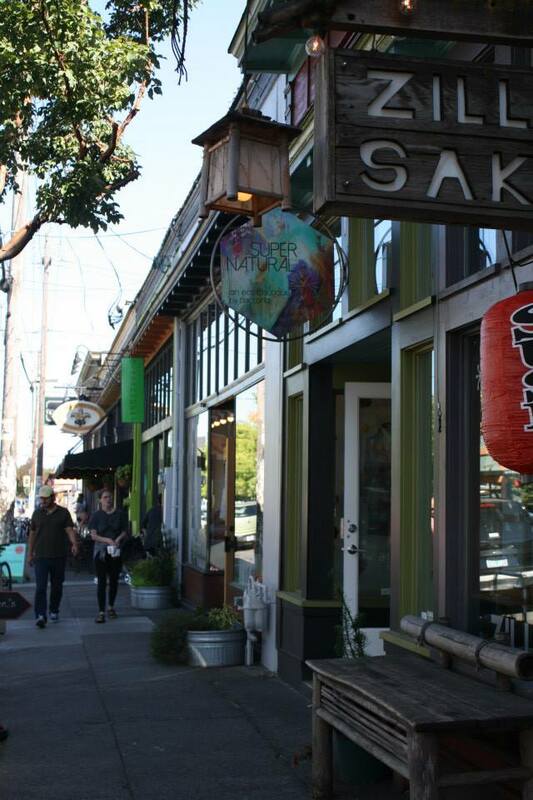 It's mostly a residential area except for Alberta Street itself, which features a variety of independent and unique shops, restaurants, bars, brew pubs, and more. Adding to the colorful streetscape, some of Alberta’s building are livened by elaborate and artistic murals. Alberta Main Street is a wonderful and vibrant community page worth visiting for lots of information and ways to get involved in the Alberta Arts community. This map, provided by Google, identifies a small area as the Alberta District, however it is our belief that locals traditionally call the area directly east of this to also be "Alberta" - all the way down to approximately NE 33rd Ave.